Martins Liberts is a blockchain expert, a specialist in self-regulated ICO, which was a topic of his presentation recently delivered at the blockchain conference in Geneva. 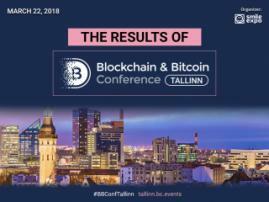 In the interview to the press service of Blockchain & Bitcoin Conference Tallinn, Martins Liberts explained why ICO needs to be self-regulated and dwelled on its compliance with the governmental control over this industry. The speaker also touched upon the blockchain tech now and in the future as well as described his own project — a financial ecosystem Debitum Network. BCT: We see a lot of feedback that many ICO projects are either unsuccessful or fraudulent/scams. How can self-regulated ICO solve this problem and help build confidence in initial coin offering by both investors and the state? M.L. : Self-regulated ICOs would ensure high ethical and business standards for ICOs thus ensuring that projects following common internal rules guarantee safety and transparency for potential investors. If we achieve this, the government should be happy to support as the main target – keeping society safe would be achieved. In a fast changing and dynamic environment like ICO industry, it is easier to regulate from within (self-regulate), rather than from outside (governmental regulations). BCT: What are the benefits of self-regulated ICO that all parties can get? M.L. : The industry can remain efficient and innovative, while complying with high standards for security, transparency, and anti-scam and other important areas. In general, there are two ways to approach a radical new movement like ICOs – to allow it and monitor (what many western governments are doing) or to ban and then figure out under what conditions to allow it (like China or Russia is doing). Both approaches are legitimate. I believe that we need to support our western governments and add a self-regulation framework to ensure that while it waits and monitors the industry, nothing bad happens. BCT: Most states now either are exploring the ICO or working to create regulation. Describe the perfect ICO law, please? M.L. : There is no perfect law. When we talk about ICOs, we talk about democratization of investment as more people can invest, even if it’s a tiny amount. And about democratization of fund raising as more entrepreneurs can start their business without giving away equity allowing them to be in charge of the future of their business and potential success. Of course, many ICOs (like many start-ups) will fail. And the essence of regulation should be to ensure that people investing in ICOs have equal playing field and are not scammed or tricked. Perfect law depends on cultural and current legal differences between various countries, on perception of investment and ability of non-professionals to invest in new ventures. There is no single perfect law. Therefore, we need a self-regulated manifesto for ICOs to set the high-level framework that can later be adopted and passed as formal regulations based on local needs of each country. BCT: The Prime Minister of Russia called the countries of the Eurasian Economic Union for a common approach to cryptocurrency regulation. In your opinion, does the EU need common rules for the cryptocurrency market or each country should create own rules of the game? M.L. : I believe that EU could pass a regulatory framework that is very similar to manifesto of ICOs. And each country should adopt it based on their local needs and future strategy – there are countries like Switzerland or Lithuania that are willing to be in the front row of crypto adoption, but there are also countries willing to wait it out and see how crypto industry develops possibly for the next 5 years or so. Hence each of them need different local regulations but the common framework should be the same. Such common framework should include most important issues like how define crypto, how to define ICO etc. BCT: If we talk about the EU's response to the crypto industry in general, what position the European parliamentarians hold, and should the crypto community prepare for any unpleasant surprises? M.L. : I had an honor to participate in a discussion on crypto and needed regulations that were organized within European Parliament. I believe that Europe is willing to take very innovative approach and I personally do not believe that we should expect any strong anti-crypto or anti-ICO regulations. Openly speaking I share an opinion that on a bigger picture current crypto market of around 0.5 trillion USD is rather small and even if it all disappeared in an instance, it consequences would not be too painful. They would not compare to last financial crisis or real estate bubbles that European countries have seen in the last decade. BCT: You once said that blockchain can replace authorities. There will be no government, no parliament. In fact, it will change the habitual way of life. How do you think this can be implemented and which state can do this first? M.L. : It Is a rather provocative question. Yes, purely from a technology point of view – blockchain can efficiently implement direct democracy or decentralized governance of countries (or communities). However, I do not believe that it will be implemented in upcoming years anywhere in Europe. True, many of European countries and countries worldwide are “playing” with blockchain solutions (for cadaster, healthcare, finance and other areas) but I do not believe they will implement anything radical in the nearest future. BCT: What financial benefits can a country get from using blockchain? M.L. : Blockchain solutions can drive down its cost of administration, there is a need for less manual labor, increased efficiency, trust. BCT: You are founder of the Debitum Network project. How did you come up with the idea of ​​creating Debitum Network, and what problem does your product solve? M.L. : We founded an IT company around 6 years ago and for our growth (taking on new service agreements) we needed more funds. Even though we had good agreements with strong companies, traditional financial institutions turned as down. We didn’t give up, solved the cash flow problem, went on to grow. In parallel we decided to help other small businesses to similar solve cash flow problems too, so we founded an alternative finance company that provides loans against invoices. It was first alternative invoice financing company in the Baltic states and it still is one top companies in its niche in Lithuania. When we though how to solve this issues on a global level, we considered blockchain solutions and we understood that the best way to solve it is creating a fully decentralized financing process based on trust that is ensured by blockchain technology – thus Debitum Network was born. We are a marketplace, an ecosystem that brings together small business and potential investors but we also add risk assessment, insurance or debt collection to the mix to ensure that investors have enough information before making investment decision and enough tools if a loan goes bad. We believe it’s a unique approach towards alternative finance of small businesses. 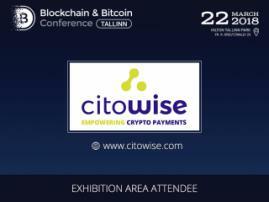 BCT: You will talk on your personal ICO experience at the Blockchain & Bitcoin Conference Tallinn. Can you list the main lessons you learned? M.L. : At the end of the day, a self-regulated ICO is about being honest, based on a true business plan, transparent and secure. 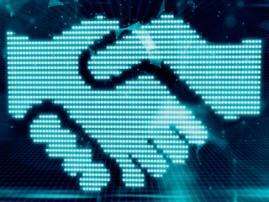 That is not so hard to achieve if a company considers their potential contributors and partners and not just try to raise maximum amount of money possible. I wish that ICO market becomes purer and we fully use the advantages blockchain technology has brought to entrepreneurship and investment.